Train travel is so inexpensive in Italy that it is very widely used. The Italian rail network connects just about every major city in Italy, runs like clockwork, and often includes spectacular views of the countryside. During the holiday season, traveling by train can be difficult, so, wherever possible, you should reserve your seat well in advance. Considerable reductions are available for families and individuals on shortterm season tickets. Sleeping cars are available on most domestic long-distance night services, and most long-distance trains have restaurant cars. Frecciargento are trains running through both the high-speed and traditional lines travelling up to km/h with connections that shorten the distance between Rome and the major metropolitan basins of the North-East and South sides of the Country. Frecciabianca runs on traditional lines outside of the High-Speed network, guaranteeing comfort and quality service. EC (Eurocity): Fast international train, with first and second class compartments. A supplement must be paid in advance, but there is no charge for booking a seat in advance. Fast national train. Most ICs have first and second classes, but there are still a few with first class only. IC connect major cities with a limited number of stops in intermediate stations. Regionale trains connect provincial cities and smaller towns to the major cities and have more intermediate stops. These are slower and less plush but can be a good way to experience the sights of rural and provincial Italy. Visitors are often caught unawares by train and transport systems requiring validation and this can result in being fined a minimum of 50euros. Tickets bought in Italy for Regionale trains are not marked for any particular time or train and become valid only when time-stamped at a validation machine. 1 A che ora parte il treno per Firenze? http://www.easitalian.com/blog/wp-content/uploads/2016/01/2-1.mp3 When does the train for Florence leave? A che ora arriva il treno da Roma? http://www.easitalian.com/blog/wp-content/uploads/2016/01/2-1.mp3 When does the train from Rome arrive? A che ora c’è il prossimo treno per Venezia? http://www.easitalian.com/blog/wp-content/uploads/2016/01/3.mp3 When is the next train to Venice? 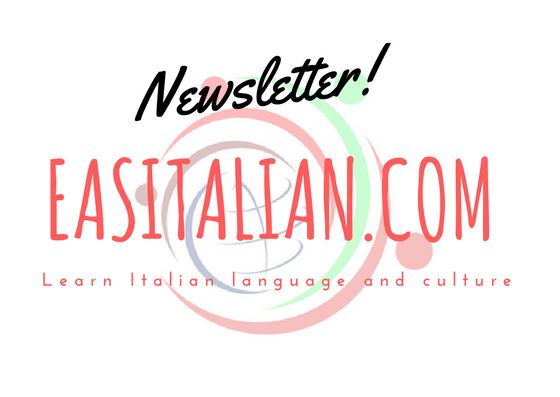 http://www.easitalian.com/blog/wp-content/uploads/2016/01/4.mp3 Do I have to pay a supplement? A che ora c’è il primo/l’ultimo treno per Torino? http://www.easitalian.com/blog/wp-content/uploads/2016/01/6.mp3 When is the first/last train to Turin? Quanto costa il biglietto per Napoli? 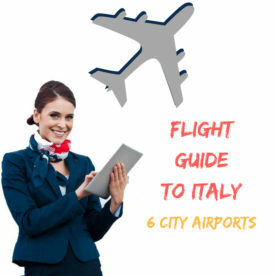 http://www.easitalian.com/blog/wp-content/uploads/2016/01/7.mp3 What is the fare to Naples? Il treno ferma a Padova? http://www.easitalian.com/blog/wp-content/uploads/2016/01/8.mp3 Does the train stop at Padua? Quanto tempo ci mette per andare a Trieste? http://www.easitalian.com/blog/wp-content/uploads/2016/01/9.mp3 How long does it take to get to Trieste? http://www.easitalian.com/blog/wp-content/uploads/2016/01/10.mp3 Where can I buy a ticket? È questo il treno per Genova? http://www.easitalian.com/blog/wp-content/uploads/2016/01/12.mp3 Is this the right train for Genoa? È questo il binario del treno per Palermo? http://www.easitalian.com/blog/wp-content/uploads/2016/01/13.mp3 Is this the right platform for the Palermo train? A che binario parte il treno per Perugia? http://www.easitalian.com/blog/wp-content/uploads/2016/01/14.mp3 Which platform for the Perugia train? http://www.easitalian.com/blog/wp-content/uploads/2016/01/15.mp3 Is the train late? http://www.easitalian.com/blog/wp-content/uploads/2016/01/16.mp3 Where is the train conductor?